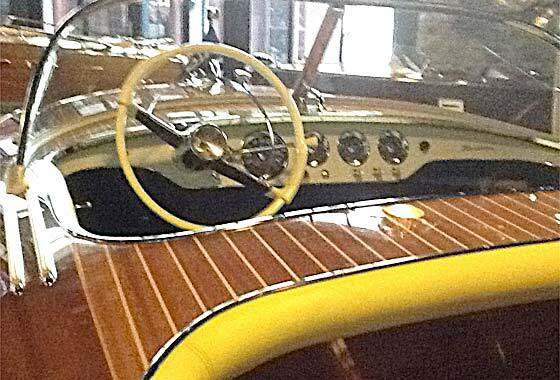 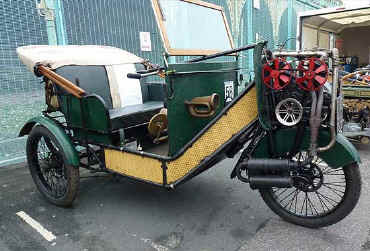 The SVVS Website now has in excess of 50,000 photographs dealing with SVVS and other vehicles. 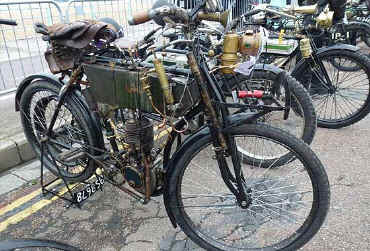 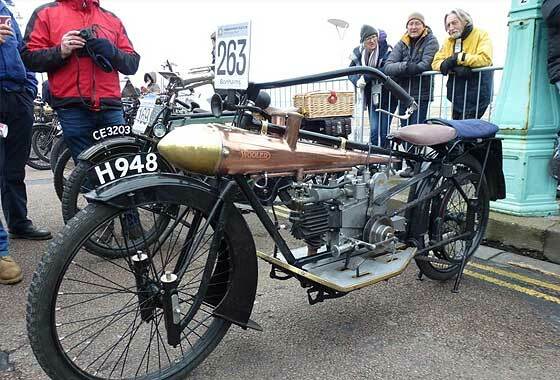 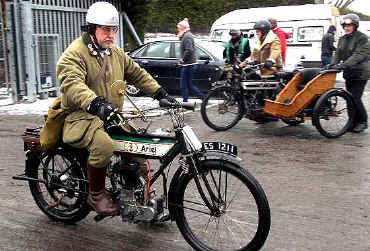 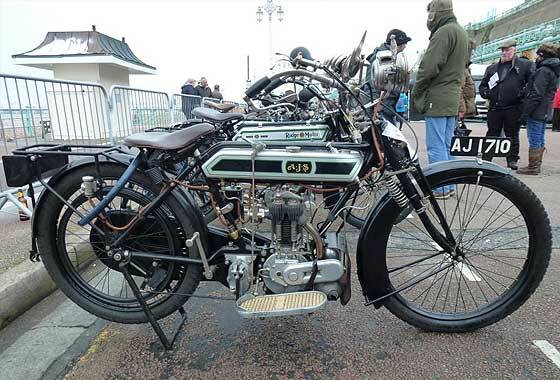 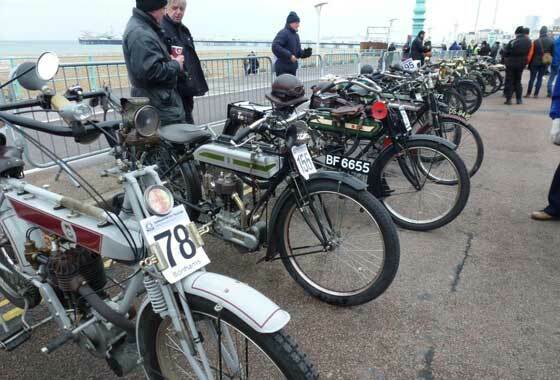 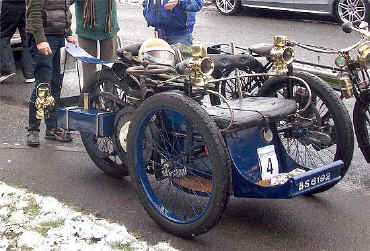 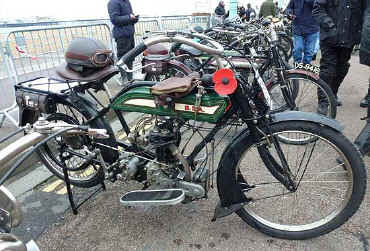 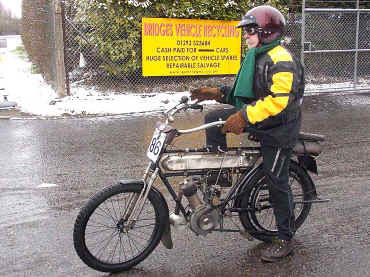 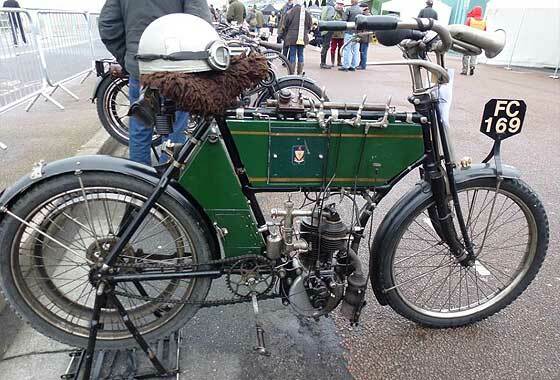 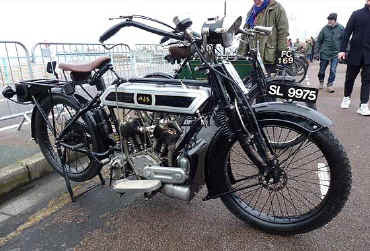 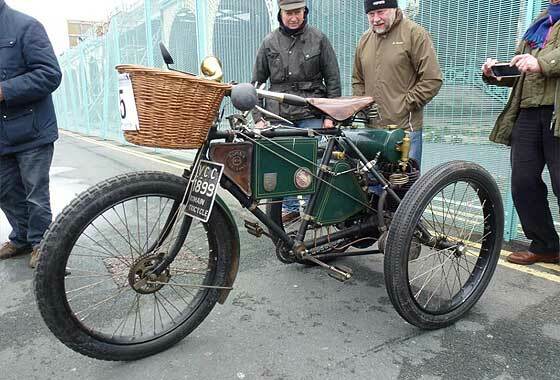 Photos of SVVS vehicles at SVVS Meetings can be seen by going to the " Earlier Meeting Archive "
Our Membership Secretary Chas Moody is a very keen vintage biker who regularly partakes in the Motorcycle 'Brighton Run'. 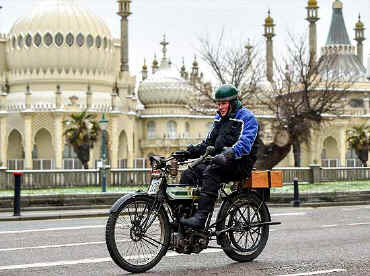 The run was supposed to start from Epsom Downs and finish on Madeira Drive, Brighton, but the 'Beast from the East' with snow and blizzards had returned so the start was moved to the half way stop at Bridge Motors, Pease Pottage, - not before many stalwarts like Chas had driven to the snow bound Epsom! 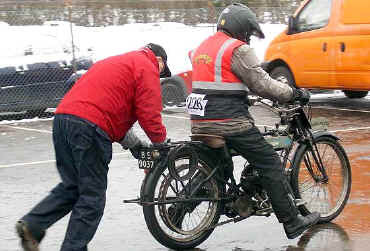 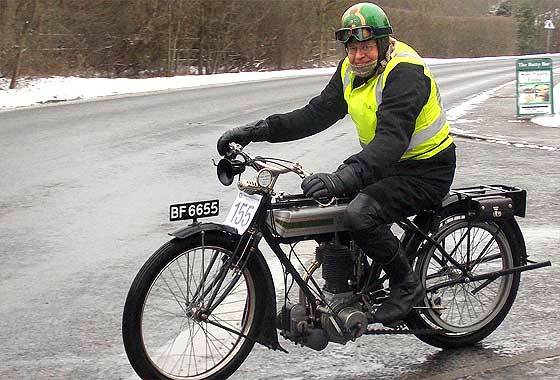 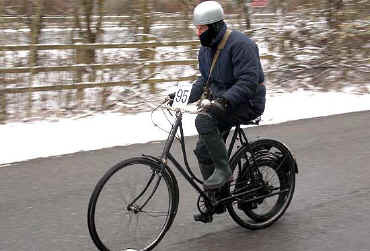 Road conditions became worse as they approached Tattenham Corner with Veteran bikes being ridden 'feet down' and sliding alarmingly in a sea of icy slush. Epsom Downs wore a blanket of snow and was swept with biting wind. 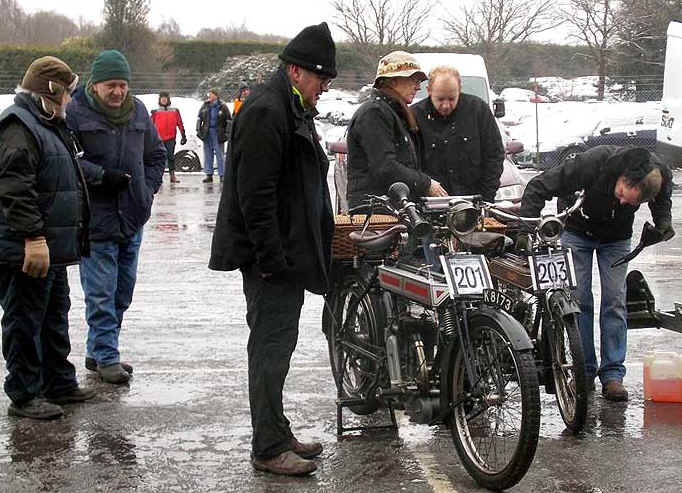 The start area was almost deserted save for a few frozen marshals. 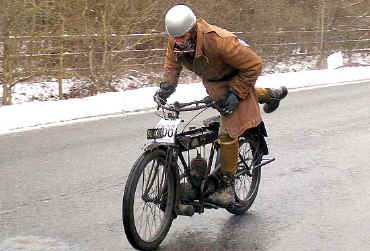 They then went off to Pease Pottage, then to Handcross, Cowfold and Henfield without significant difficulty. 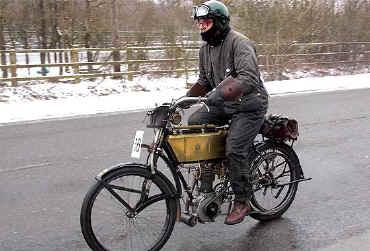 Passing through Woodmancote people wetre flashing 'Icy Roads'. 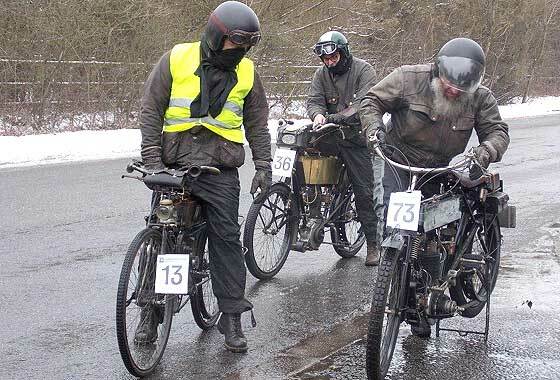 Past Pyecombe they had the magnificent sight of the snow covered South Downs set dramatically against a leaden sky. Up on to the A23, passing the famous Pylons and dropping down into Brighton, the light traffic allowing a trouble free run to the seafront, then along Madeira Drive to the finish. 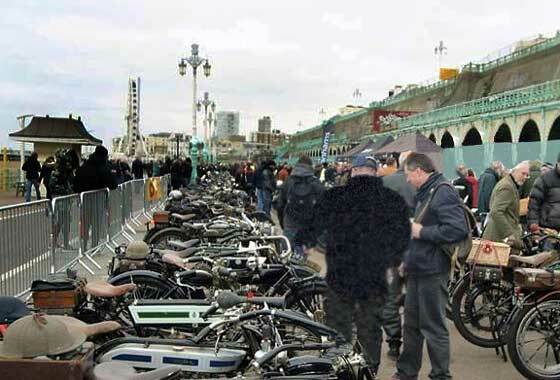 Of the 322 machines entered, only 137 started. 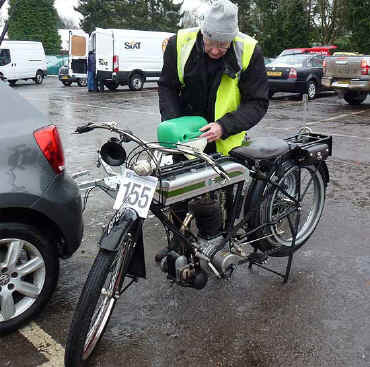 But of those a magnificent 128 machines finished. One of the usual highlights apart from the run itself is looking at the magnificent array of machines lined up at the finish, far fewer this year due to the nasty weather. 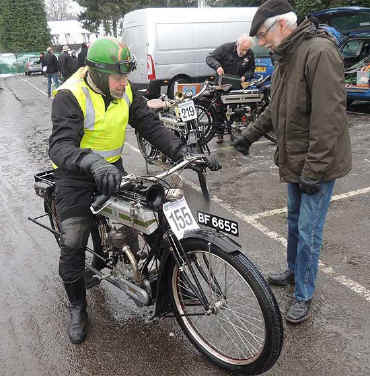 Photographs were taken by Zak Stilling and Chas Moody.